Superposition by David Walton did that to me this past weekend. Jacob Kelley is a physics professor far away from the brilliant minds who he had worked with in recent memory and trying to make a difference with young, fertile minds at a local small college. His life is good, and everything is in order… until one night when an old friend showed up and turned his entire life upside down. Brian Vanderhall, who worked with Jacob on the New Jersey Super Collider (think CERN, but in New Jersey), is convinced that something is chasing him. Jacob is only mildly concerned (more for his old friend’s mental state than anything) until Brian pulls out a gun… and shoots Jacob’s wife. Except that the bullet didn’t hit her. Instead, somehow it moved around her and struck the wall. Angry beyond belief, Jacob punches Brian and throws him out of the house. But then things get very, very weird, because then ext day Brian is found dead from a gunshot wound — the same gun that he used to shoot at Jacob’s wife. And then Jacob’s family is brutally murdered in front of his eyes by some eyeless entity from within the quantum universe itself… and their bodies disappear seconds after, gone without a trace. Weird? Oh yeah, this book is going to hit you over the head with weird, and make it work. 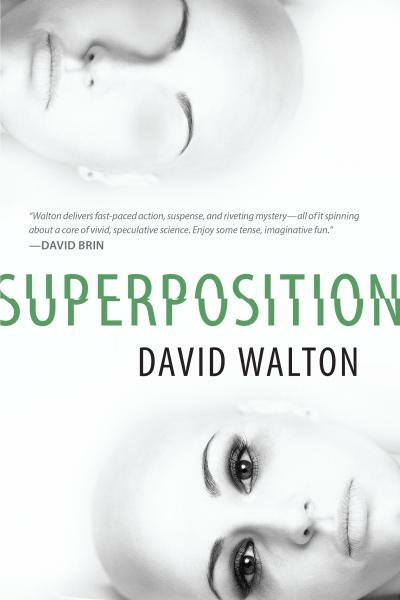 Superposition is half-SF novel, half-murder mystery, and is perfectly done. There was some initial confusion early on, due to the two concurrent storylines being told from a singular POV (broken down by “Up-Spin” and “Down Spin”). Once the reader figures out the pattern, however, the true brilliance of the story emerges and it truly takes off. Imagine that in quantum entanglements there is a “mirror-verse”, for lack of a better term. Not a copy of you, but a reflection. Now imagine if that reflection came to life and had your memories, your thoughts, your feelings. Almost like a clone, but better. A mirror image, where the moles on your cheek are on the other side of your reflection’s face (hey, give me a break, this is hard to explain in mundane terms). That version of you is temporary, however, because the wave which separated you two must collapse at some point (typically when the reflection and the original are in the same situation). That’s… not a very good explanation. David Walton does a much better job of explaining it in the novel. 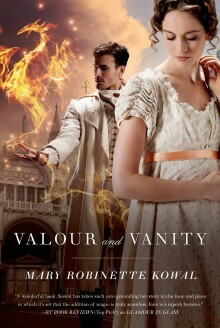 The story is fantastic, and the plot is fresh and original. I’ve read books on quantum theory and a Higgs boson before (Travis S. Taylor’s Warp Speed series comes to mind first and foremost), but this is the first time where it was explained to me in terms that I could completely grok. The hell which Jacob must endure before the end of the novel makes the payoff worth it, and leaves you with a good feeling. 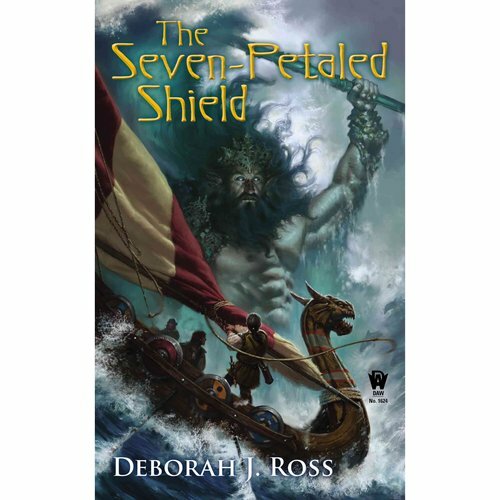 The pacing starts slow, but soon enough is racing along so fast that the reader can barely keep up. Some of the characters blend together, but the main characters are strong enough in their differences and opinions to make each one special and memorable in their own right. This book is a definite read for any science geek or a murder-mystery fan, but especially for both. This one is a solid “A” for me. You should definitely check it out.